It is common in the fine dining section of the market to have seasonal menus these days. However, few restaurants have succeeded in pulling off Seasonal Menus that marry Japanese and French cuisines in a fine dining setting. Lewin Terrace’s adds on to the difficulty by merging Japanese and French ingredients and culinary techniques, then applying them to a menus that change every three months. This challenge is taken on with panaché by Chef Hiroyuki Shinkai, who has worked in Michelin Star Kitchens like Tokyo’s L’Osier (3 Michelin Stars) and Singapore’s very own Beni (1 Michelin Star). We tried the Sho-Mi Summer Menu, which is available till 31st August. This 5-course menu is a little more global in flavours, with Italian-inspired dishes amongst its rather elegant offerings. The meal opened with a surprise for the tongue – A Corn Soup/Lobster Jelly combination that wakes the diner up. The corn soup is sweet, and easy to eat while the lobster jelly provides a highly enjoyable flavour contrast. The Amera is a wonder combo of Burrata cheese and Japanese tomato, served cold. 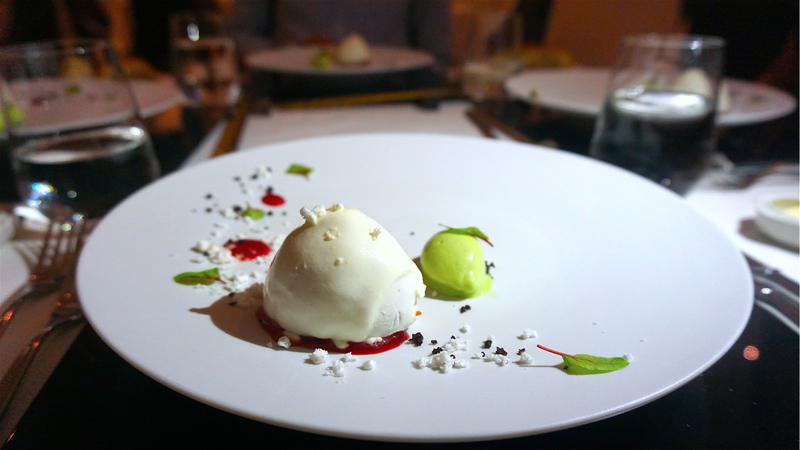 It’s an incredibly happy dish when you start to take in the green tomato ice cream together with the cheese and tomato! The acidity of this dish mingled with the heavier cheese flavours for a distinct profile. The Kadayif is all about technique. This finely-shredded filo pastry that wraps around the Caledonain Angel Prawn requires well-practised technique to pull off successfully. 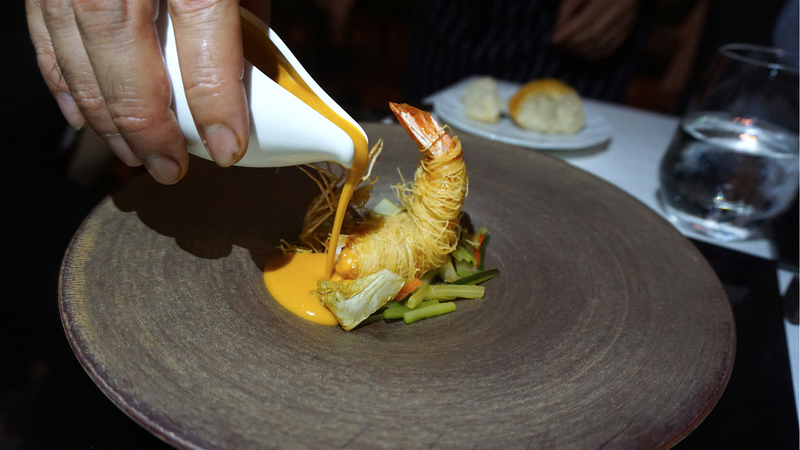 I absolutely love the crunch of that Angel Prawn, but the winner for me is the integration of Laksa sauce into this dish to give it a twist. It’s an intelligent addition, and worth every calorie! I’d like to say that Suzuki, the fourth dish of Steamed Japanese Seabass is something to look out for if you’re a fan of fish. It is a lovingly treated protein, and every bit as succulent as you would imagine, while not being mushy at all. The fennel and ginger sauce keeps things fresh, while the sweetness of the fish holds its own. Finally, the Challans Duck is everything a grand finale should be. It’s got a robust protein in the duck roti, a fragrance in the truffle sauce and a wonderfully balanced mango tempura that carries a sweet acidity. The little surprise comes from little translucent chips that we later learnt were actually potato chips! These chips are finely sliced, steamed, then deep fried into this final form. A+ for creativity here! This dessert is the best that Summer has to offer. 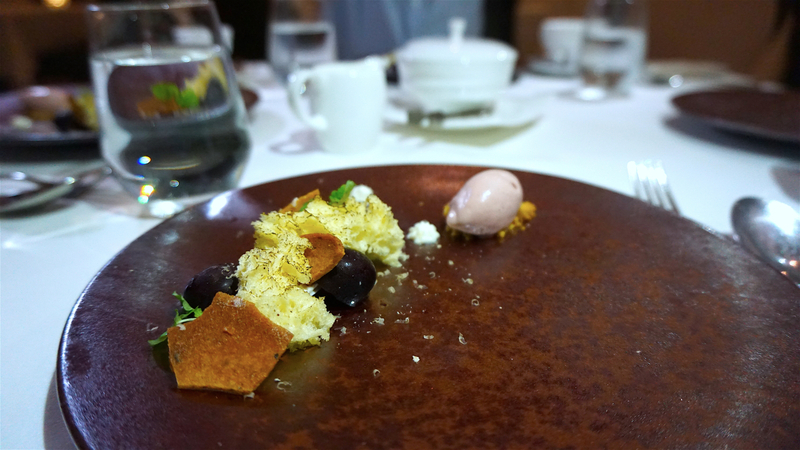 You all know that I’m not a huge dessert fan, but I loved the juicy sweetness of the cherries and how it went so well with the white chocolate and that airy, almost foam-like cake that disappears in your mouth. I topped that off with a nice, warm cup of coffee and left with a sense of satisfaction that lingered till bedtime. 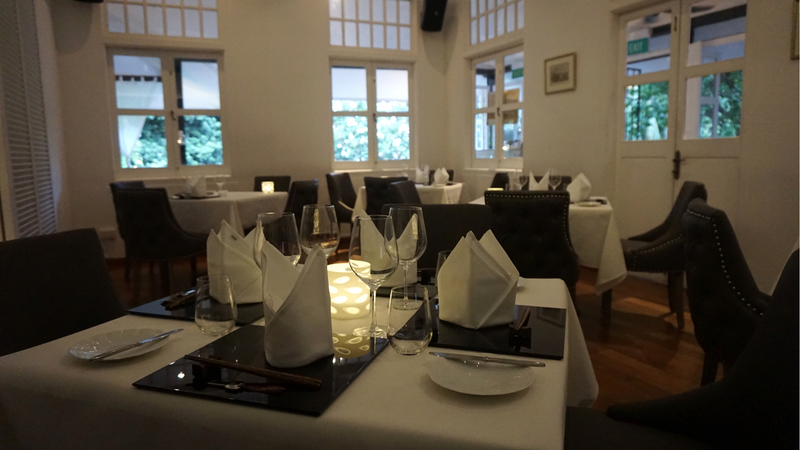 Chef Shinkai brings a minimalist, technique-driven style that has been sharpened by his pedigree in French cooking to the table, in what must be the one of the most challenging menu configurations in Singapore. That said, he remains unfazed, and seems to thrive in these conditions. 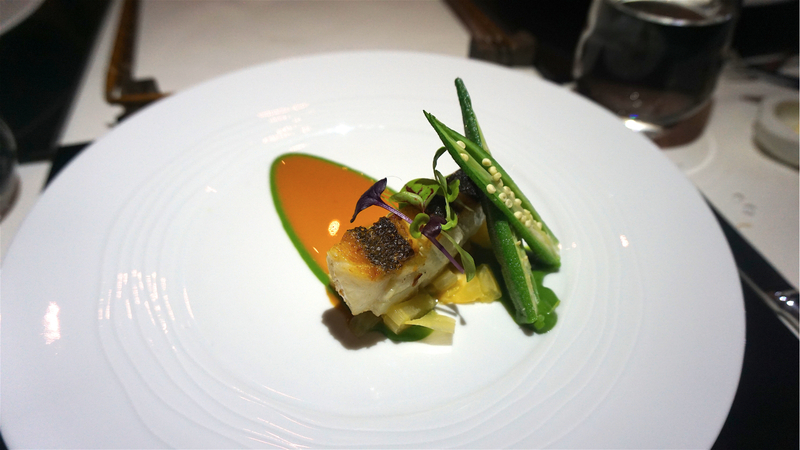 If this 5-course menu is anything to go by, Lewin Terrace will continue to impress diners here for a long time to come.